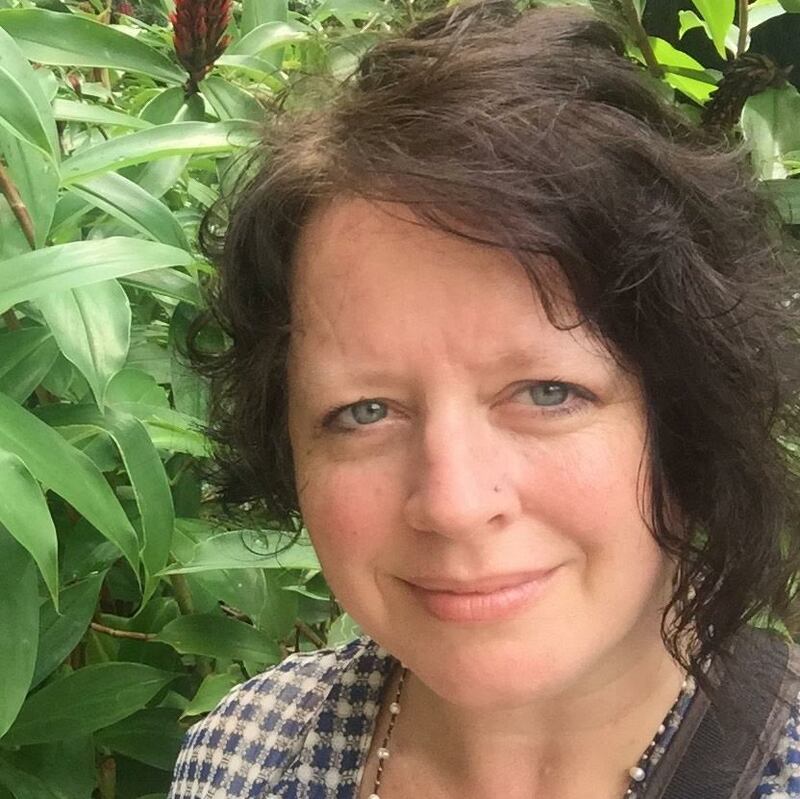 Angela Bowman is a WordPress instructor and custom theme developer from Boulder, Colorado. She loves hiking, travel, art, and backyard chickens. She has been working with WordPress since 2007 and teaching theme development, security, and more since 2009. She is always excited about new technology and eager to share with others through local Meetups. She has been a fan of NextGEN Gallery plugin since she first discovered it back in the day and has been teaching many WordPress users about it and other image plugins on a regular basis. Scott is currently testing WP Time Capsule as a backup solution (similar to VaultPress and Apple's Time Machine) and is highly impressed. It's 100% free right now as well. He switched his recommendation from BackupBuddy and VaultPress to this. For repeat site hack offenders, Google is putting a 30-day window on-site review requests. That means if your site is hacked multiple times, you will no longer be able to request a review in under 30 days. Even if you fix it immediately. Transcription was done by Rev.comScott: Welcome to episode 29. 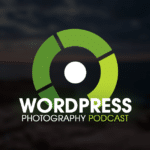 My name is Scott Wyden Kivowitz and I'm joined by my co-host Rachel Conley from FotoSkribe. Hi Rachel. Rachel: His Scott, how are you? Scott: I'm doing well. We just spoke to Seshu. That was a great conversation. I look forward to going up to connecticut for CTTPA to teach all about WordPress, I think that's a lot fun. We had a lot of news last week or last episode I should say. This episode, we've got a little bit less news but very exciting stuff to talk about. We have a really good guest today. We have Angela Bowman. She is a WordPress instructor and custom theme developer from Boulder colorado. She loves hiking, makes sense, she is in Colorado. She loves travel, art and backyard chickens. She has been working with WordPress since 2007 and teaching theme development, security and a lot more since 2009. She is always excited about new technology and eager to share with others through local meetups. She's been a fan of NextGen Gallery since she first discovered the plugin back in the day. 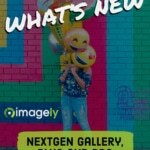 NextGen Gallery has been around probably since she got it to WordPress. She's been teaching many WordPress users about that plugin and many other plugins and other image plugins to be specific on a regular basis. She teaches a lot of artists of all genres including photographers and painters, and pretty much any artist out there. She is one of the people educating. Welcome Angela, we are really excited to have you on the show. Angela: Thank you. This is very fun. It's my first podcast. I love it. 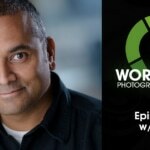 Scott: Before we dive into what's going on with you, let's talk a little bit about some WordPress photography related news. I'm currently testing a new backup solution for WordPress. I'm loving it, it is the simplest I've ever experienced. It's similar to VaultPress, which is made Automattic, which is basically, what I mean by that is, it is a, how do I explain it, how do you explain it? What's the word you would use to explain how this works? Where it's not just full backups every time but it's, incremental is the word. Rachel: Depending on which package you purchase. Rachel: Because they can do it daily, they can do it hoURLy, they can do it real time, and you pay for those different categories. Scott: If you are familiar with Apple's Time Machine, it works this way too. Where every, whatever period of time, it will do a backup of any new changes on your site, whether you are deleting, or on your computer, whether you are deleting or adding new files to your computer, Apple's Time Machine will back up those, or delete those from your back up depending. This plugin, it's called WP Time Capsule. I'm highly impressed. It's a 100% free right now. They are working on a premium plan. I'm not sure what that will include. Right now, it's 100% free. I'm getting two back ups a day. What they do is, you have a choice to either back it up to your Amazon S3 or to Dropbox or to Google Drive. That's how they are making it free for you to use, is they are not using their own servers to actually host the backups. However, you do have to connect to their service, their service actually handles the backups. Basically their service pulls from your website, and then sends it out to whatever cloud service you are using. Angela: Does that mean it's doing it over FTP rather than like PHP? You have things like BackupBuddy and some of those plugins which time out on backups because of the way they handle it. Whereas some backups that rely on more of an FTP connection don't have the same timeout issues? Angela: It'd be a good question to ask. Scott: It doesn't time out because it's doing incremental, it's doing little files here and there. The original one took an entire day to do the original backup, because it's still doing each file individually, it's not doing any chunks. It's amazing, and it's free. The cool part is, you can literally revert one day back and you can revert individual files if you need to. Rachel: I think the free part is the best part. Even Vaultpress you have to pay for and you have to go through Jetpack and we've talked about Jetpack on the show a lot about it being bloated and having to turn on and off, and if you are sort of a beginner user, that's scary concept, and then BackupBuddy has problems too. There hasn't been a great 100% WordPress solution. This sounds like a good entry into the market and the price-point is right. Have you noticed any server slow downs? Rachel: Because I guess that, you know the broken links plugin check? Rachel: Broken links checker plugin and how that pulls server resources? That would be the first thing I would think of when I hear of this and you haven't seen that? Scott: No, because, think about about it. It's only doing one file here and there. It's only doing individual files instead of constantly scanning everything, your entire slide all the time. Rachel: But as a photographer, say you upload, and you shouldn't, but say you upload a hundred 5K, not 5K but five thousand pixel images to one blog post, and then that back up solution pulls that one change and it's a big change? Scott: Yeah, but it's still going to do each image on its own individually, instead of it doing the entire post in one chunk, it's going to do each file individually and then you could literally revert one file at a time if you wanted to. Rachel: Photographers, don't upload five thousand images to your website, that's my PSA for that. Don't do it. Scott: Again, this is a brand new solution. For all I know, some people might be having bad experiences. All I know is, for me it's been amazing. I'm on Imagely hosting, so I get backups anyway, but it's nice having an extra backup. Scott: The cool part is, I can literally go to my amazon s3 account and pull up every file right there and it's duplicated. Angela: I was just going to say. The challenge that I've had with these solutions has been the setting up for the Amazon S3 account for the novice users. Rachel: I was just going to go there too. It's hard. Angela: It's just really challenging, I taught it in my class. I literally have this step by step, I teach this backup and maintenance and security class, all in one. Just that part is really challenging. Rachel: Amazon hasn't made it easy to use S3. I think that's on purpose because they are trying to make it as secure as possible. Their clientele is not the average photographer. For any photographers looking to use WP Time Capsule, I would say, consider Google Drive or Dropbox, depending on which one you are paying for and has the space. Angela: Dropbox I imagine could have some delay and slowness, because in general, just getting files over to Dropbox is pretty slow. I'm curious of how it would handle something like that. Of course with twice daily backups, even though it's these incremental file backups. The thing that I guess I would be more curious about is, you have the one backup but then do you have revisions of those files? For example, you are saying it backs up the whole site and then it just does files one a time. Let's say you change your style sheet, is it overwriting the style sheet or is it saving multiple versions of the style sheet, like Time Capsule would, or time machine I mean? Scott: Increasing that vault archive. We'll see. My take on it right now, it's the best one I've used ever. Scott: Two thumbs up. I'm excited for it. Rachel: We talk a lot about backups because this is kind of moving us into the next news item. It's not a question of if your site will get hacked. It's a question of, when, most times. Scott: The next piece of news is for repeat site hack offenders. What I mean by that is, your site gets hacked, this goes for WordPress and non WordPress but we know we are talking WordPress here. Your site gets hacked, you pay a company to clean up your site and remove the hack. For example maybe Wordfence, or Sucuri or Secupress, or any of those services that can actually clean up a hack for you. Then you get hacked again. That's a repeat site hack offender. For those offenders that are repeatedly getting hacked, Google is putting a thirty day window on site review requests, which means if you get hacked multiple times you'll no longer request a review. You are no longer able to request a review within thirty days, you have to wait. That means, even if you fix that hack immediately, it does make a difference. It means for thirty days your site at a minimum, your site will be flagged on Google as not safe. Rachel: You have one chance? Angela: On the second one, on the second attempt? Scott: Yes, for repeat offenders only this will happen for. That's the importance of having backups, having security, whatever security plugin you are using. Having hosting that's protecting you and so on. Everything we've talked about now in twenty nine episodes of the podcast. You want to make sure that you are protecting yourself because now it's going to hurt your brand for, if you are getting hacked more than once. It's going to hurt your brand because now Google is going to leave it there on their search engine results for everybody to see that your site's not safe. Rachel: It seems really harsh. Scott: It does, but I think that's their way to crack down on site owners that don't care. Angela: Also, the thing about backups that you have to be careful with and how we talk about backups, because, to me backups have not been so helpful in terms of hack recovery. It's good in terms of disaster recovery, but with hack recovery the thing is that whatever vulnerable file, whatever vulnerability you had that caused the hack, if you restore your site to "pre-hacked version." You could just be restoring the vulnerability. I rarely if ever use backups in dealing with hack recovery. Scott: Here is my look on that. If you know when you were hacked, exactly when, which is easy to find out because on your server it will say this file changed on this date. Your host can tell if they look at the log too. Rachel: We say easy in air quotes Scott. Angela: That's what we do. Angela: Here is the reality, the reality is that most of these hacks, sites have been hacked for two or three years, and there is PHP backdoors on the sites. Let's say you set up your new WP Time Caps on your backing up, and then the real hack didn't occur, the front facing hack that Google notices didn't occur till last week. You revert your files and you think you are okay, the problem with that is that you are not okay, because you have these PHP back doors that have been there for two or three years and it was only just recently exploited. Angela: Any backup won't help, and I'd say typically the most typical hacks are these PHP back doors and they can just, most sites that I see that haven't been maintained or updated. I'd say all of them have been hacked, every single one, and the owner has no idea. It can't take a long time before a front facing hack ever appears, but I just think site owners need to be aware restoring from the backup could get them into this trap that you are talking about, where they restore from back up and they are like, "I'm good. I updated my plugins. I'm okay," and they get hacked again because it had nothing to do with even the plugins that are currently on the site. Rachel: We should sort of temperate this because our audience are photographers and they hear things like that and it's scary to them. This is part of what we preach about updating your core WordPress and updating your plugins and making sure that at least once a month, even if you are not blogging or you are not updating your website, you are going in there and making sure that these potential security vulnerabilities that are existing in another world outside of photography, you are addressing them. Hack recovery is a scary thing because most of photographers are solopreneurs and they are doing this on their own. That's where we really talk about making sure you have a good relationship with your website host and reaching out to people who do this for a living when something happens and not just ... The other thing about using Vaultpress as a service that I like is that they have the power of Automattic behind it. That includes the power of the people of Automattic. Scott: They offer a hack recovery as well, on certain plans. Rachel: There is the question of, just having a backup and just having a file. There is one plugin that I really, a lot of photographers use it and it drives me crazy. It's something like WP Backup, it's very simple. It does the same thing in that it just puts it Dropbox and that's it. For a long time it was only capturing half of the conversation, it was only capturing the image stuff but not your file stuff, but not your PHP stuff. When photographers thinking they had a backup went to backup they only had half of the solution, and they had no people to ask. Yes there are these conversations that need to happen, and I think it's good to be aware of it, but there is the preventative step in that that's why hiring the right people, hiring the right services that have people behind it to help you is where maybe happy middle is. Scott: Oldie moldy, I love it. Angela: Just keep it, run a tight ship, run a tight ship, keep things updated, use good passwords. I've never seen a site hacked under those circumstances unless it was a hosting kind of issue. Scott: I'm a big fan of Wordfence because of their scanner. I love the fact that their scanner picks up oddities and emails you if there is something that's strange or emails you if there is a plug that needs to be updated, or theme or WordPress or whatever. There is a lot of security plugins out there as well that do similar things. I will say that if you are hacked, don't try to fix it yourself all the time. If your host can't help you, hire a company like Sucuri that can do a hack cleanup for you, for like $100 or whatever. It's very affordable for a photography business. Rachel: I also recommend Jim Walker, the hack repair guy. Rachel: The hack repair guy. Angela: Yeah, I've never heard of him, that's great. Rachel: He's awesome. He contributes a lot to the WordPress Facebook groups. I've sent people to him for their hacked sites, because you kind of have to do it for a living. Angela: You really do, and you have to stay up on the vulnerabilities, for sure. It's even having a base knowledge of WordPress or more than a base knowledge. I've been approached, and it's like no. Not going to touch that, because there is so many intricacies. Especially with photographers, your website is storefront. It really should be like, if you had a storefront you'd sweep the floors, you'd clean the windows. You have to treat your website the same way, and knowing that there are chores that you have to do to keep it updated and to keep it secure, make sure your password isn't password. Scott: Wordfence also and some of the others also allow you to do password security. If a user on your site has, or password auditing I should say, if a user on your site has a bad password, you can force them to reset it. There is even a plugin that just annually or whatever you set it to forces every user on your site to change their passwords, which is a good practice to do. There is also two factor authentication, there is a lot of things that could be done. Rachel: WordPress core is definitely much better about that too. If you use a weak password, it makes you click confirm, use of weak password. The auto password is usually one of a long string of numbers and stuff. They are definitely getting much better about it, because probably from their point of view, if you think of WordPress core, and I say they, it's the open source community. It's a big issue for them, for everyone, that they are trying to solve. Scott: My last note on this before we move into something happier than hacks is, my personal recommendation for all photographers is to use a software like one password if not use one password, because that way you are remembering one password for everything in your life, whether it's business or personal. You can have multiple vaults. You can use super difficult passwords that will be nearly impossible to hack. You don't even have to remember them. It's amazing. Rachel: I didn't know you had to pay for that. I just went to sign up for somebody else. I thought it was free. It's only $2.99 a month, it's totally worth it. Angela: It's totally worth it. I had a client call me in a panic because her Gmail account was hacked, and that led to her iCloud Apple ID being hacked. It was pretty scary for her, and I had to spend an hour with her on the phone just figuring out how to get her passwords reset because she. It's a nightmare and that was a wake up call to her. She was using the same simple password on all of her accounts. Scott: That's tough. I will say last on that, same related to one password is, listen to the episode with Brian Matiash. I can't remember what number episode it was, but we talked about one password a lot in that episode, including the ability of doing two factor authentication with one password. Rachel: We should, quickly two factor authentication is when you put something in and then there is another factor. Usually like your cellphone, it'll ring there and you'll have to confirm it. Scott: It's either a rotating pin number or it's either a rotating pin number or it's a text message or it's an email. Some sort of second way to authenticate your username and password. Angela: It's awesome. It's the gold standard. Scott: Angela, what is going on in your world these days? Angela: I just finished teaching a six week WordPress, I don't know if I can call it development builders' course. I take beginning people who want to build sites for clients, A to Z through the process of making a WordPress site. We install a local development environment using desktop server. We install theme plugins. I go through all the basics of how WordPress works, how the template hierarchy works, how the loop works, how template files work. Then we get into a lot of CSS, functions and hooks and how to work with a framework, and take that all the way to, now we need to migrate the site to the web-host and change DNS and troubleshoot, and it's exhausting. Scott: It's a lot of technical stuff to have to teach. Angela: I'm really working with a lot of people in career transition, men and women. A lot of people in their forties and fifties who had jobs. Maybe they were marketing people or graphic designers working in the print industry, and now they are realizing, "I need to know how to build websites." Scott: And they need to know how to build it on WordPress. Angela: On WordPress and you need to know some best practices. People get really lost. There is amazing tutorials out there, Team Treehouse, lynda.com. All these resources but no one brings it all together, from A to Z. They have these bits and pieces. What I've done is brought it all together, and I had one woman drive fourteen hours a week to come to my class because she lived in a rural community where people need websites but there was no training there. I'm trying to kind of give a new life to people who want a career in WordPress and teach them some best practices, but a lot of them haven't had the computer science background or even HTML CSS. I become, it's exhausting. Scott: We get a lot of migration people like the, career migration people in our local, in the New Jersey WordPress Meetup. Also in the forty to fifty eight range usually. Some are a little bit higher in age but the desire to learn WordPress. They all have this drive and it's amazing. It's nice that you are putting something out there to give people like that an opportunity to get it all at one place without having to dig around the internet. Rachel: Think about too, think about, career transition is one conversation, and then we can relate it back to photographers too that you may have learned something else in college or in your secondary education, and now you are doing photography, but you also have to have these skills about using WordPress, using the web, using best practices, CSS, et cetera. I have a four year old and he is in a Montessori school. We were at a teacher's meeting and she said, "The jobs that your children are going to be doing don't exist yet. How do you teach for that?" It sort of blew my mind. Like, we were the generation of learning computers at whatever level you are at, in school, and now all work-based things are at school. Our parents, our grandparents, they didn't have those trainings and yet they are expected to know how to use it. I don't know, it's definitely a shift. My four year old taught me how to use the filters in Snapchat the other day, and I was like, "What is happening?" And I'm very tech savvy. He just had been around some teenagers and they showed him how to use it and he showed me how to use it. I was like, "This is so blowing my mind." I do want to mention too, WordPress just passed officially 27% of the web. Knowing WordPress specifically too at whatever point in your career is important because it's definitely becoming one of the most utilized tools. Scott: That's 2% jump in a year. Scott: 2% of the internet is a pretty big jump. Rachel: It's a lot of people. Angela: With that in mind, I'm looking at putting my course online. It's all online now on WPCourse where, it's just, I don't have videos with it. I'm filling in a lot of the gaps in person when I teach. All the step by step instructions are on my website for people but I do need to kind of figure out how could this be delivered in a way that people remotely, where I'm not talking to them for eight hours so the stretch can get it? It's hard. Scott: If you make it online, they still can get it at any point, it's a great thing to have. You are building your own Lynda and Treehouse, which is great. Scott: That's awesome. A trip between lynda and Treehouse. That's how Imagely CEO, who you know, Eric. He learned how to develop in a year of spending, doing these online courses and using the virtual tools that they offer in Treehouse and now he's doing all of our themes. Angela: I don't want to reinvent the wheel, I just want to help people pull it all together. Rachel: I love that you do mention like there is no course map. There is a lot of resources but there is no A to Z.
Rachel: So, as a photographer you only have a limited budget, would you recommend Treehouse or Lynda if you had to choose between the two? Angela: As a photographer? In terms of just learning WordPress? Rachel: Yeah. Assuming that you have your technical photography stuff under and this is the area in which you need help. Which resource would be better, is it? Angela: Honestly what I feel like has been most useful to a lot of my clients has been the video user manuals, which is just step by step WordPress dashboard videos that I can install in their WordPress dashboard, then they subscribe to it. Scott: You mean like a WP 101 type of thing or is it something that you made? Angela: No, video user manuals is a WordPress tutorial. Video user manuals is a the URL, and their kind of tagline is, still wasting time training your clients to use WordPress? Now this does require you have a developer who has subscribed to these tutorial videos. You basically install a plugin in the WordPress dashboard, and now your client has access to all these incremental tutorials on things like, how to insert an image on a page? How to use the visual editor? What all the general settings are in WordPress? I like that as a resource because the lynda.com's and Team Treehouse, it's a lot of time commitment for people to go through, and it's so much to absorb when they are just like, "Hi, I just want to hyperlink some text." That's all I want to do, and the video user manuals allow them to just go straight to that video and watch it, or you can tell them which video to watch. In terms of the end users, I think WPBeginner has some great video tutorias that are entirely free on the WordPress dashboard. I think BobWP has incredible materials for end users. Rachel: I really like BobWP too, and he speaks again to that older generation that we are talking about, those people in transition. He really speaks in lots of different languages. He takes the advanced information and brings it back down. I really like him. Scott: He'll be at WordCamp US as well. Rachel: Yeah, before we were talking, we were talking about, before we started recording we were talking about WordCamp US and how we, I will not be there but both Scott and Angela will be. Scott: It's going to be fun. WordCamp US is in Philly. I think we talked about this last episode too. WordCamp US, actually the time this airs it might be even after WordCamp US. Anyway, December 2nd I believe is the date of WordCamp US. It's where Matt Mullenweg does his big State of The Word. I went last year, it was a lot of fun. I'm excited to go this year again. Then next year it's going to be in Nashville. Rachel: It's like the WPPI for photographers, it's the big get together for WordPress communities all over the world. Scott: Yeah, it's big. WordCamp US is a big, it's one of the biggest I should say in the US for sure. What else do you have going on? Rachel: Angela, I actually had a follow up question for you because you have worked with artists. Have there been, and I know this is beyond just straight photographers but have there been challenges that you see coming over and over or outside of training and communication, but unique needs that they have for their websites that you don't necessarily encounter with a typical small business owner? Angela: What I've started to do with artists is I've created these small workshops for artists. I get like five artists and I'll take them step by step through how to build their WordPress site using a user friendly theme. It's amazing that they are able to do it, and they are able to set their styles and select Google fonts and things like that. The biggest issue that happens for I think all users and artists in particularly is they go to some place like theme forest and they find a theme, or someone has set them up with Genesis or some other theme that is just really hard for them to maintain their work. Great, they have a pretty site but they can't, it's too difficult for them to upload their new artwork. Then the theme forest themes are just so all over the map, just being able to get the theme to work like the demo has promised is a challenge. Once a month I do one on one consulting with people. I kind of have office hours at this, at Boulder Digital Arts. I sit in a conference room and I see five people, one right after another. I don't know what they are going to come in with. They are just going to come in with their questions and usually it's how do I get this theme forest theme to work? That's the biggest challenge for people, and I get a significant number of artists and when I have encountered all these artists, I work in a place that's full of art studios. I'm like one of the only office people here. Everyone around me has an art studio and they are all like, "You do WordPress?" I need to fix my site. A lot of them already had WordPress sites, they just couldn't manage it. I just kind of simplified it, and got them going on something that they each could have a very unique look. They could all learn and then they could all easily update their portfolios. Rachel: Before we started chatting, recording, you had mentioned the difference between what you find with artist websites and photographer websites is in terms of portfolio based versus gallery based. Do you want to sort of talk a little bit more about that and the challenges or a solutions that you found for photographers specifically working with galleries, uploading images and any tips and tricks for them? Angela: Yeah, the difference between a lot of artists and photographers is photographers need content management for a huge number of images. It's such an entirely different need than the visual art, the other types of artists. I just need a portfolio. Often their portfolio will involve also having an image gallery. Your typical artist might have an installation, or they might have a series of work. That's going to be represented by one image in a portfolio grid. Then when you click through on that image, you might then go to a page that has a gallery of images that represents that installation or close ups of the piece, so if you'll sculpture different angles of the sculpture. That's really different from photographers who need to manage, maybe a hundred images related to one particular topic like the Grand Canyon. For the photographers it really does come down to like a sort of content management for their images. The confusion out there in the community is that everyone thinks they need a gallery plugin. They kind of do but there is no gallery plugins that provide true image management other than NextGen Gallery, or if they do they are kind of a little bit of rip offs of NextGen Gallery and they don't work as well, so why bother? I think that's the thing that photographers might get confused by is the difference between a gallery plugin versus a true content management system for their photographs. Scott: I see that a lot. A lot of photographers saying, "Why should I use NextGen that have X, Y, Z?" It's funny, because as you said, a lot of them are trying to do what NextGen Gallery does, but they are not doing in the same way. It's funny because whenever we hear people say, "NextGen Gallery isn't the easiest to use." It's not photographers. Angela: Yes, it's not photographers, and so they shouldn't use it. With my artists who need these little sub, like micro-galleries, or whatever you'd call it about their individual installation pieces. I'll usually have them use Envira, because that's simple, it's easy, and they don't have much of a problem with it. They don't need all that image management ability. 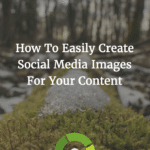 The problem with Envira gallery is there isn't a separation between display and content, or display and ... It's not a content management system for images. When the display is tied to the collection of images, that's a problem, because now you can only display these images in this one way unless you duplicate them into another gallery. Rachel: I think there is a lot of conversation too about gallery plugins versus themes with gallery. Like in a photography space there is a Pro-Photo theme, I don't know if you've ever come across it but its function is to be not only the theme but also the gallery part of it. It's really interesting in that there is a lot of information coming at photographers specifically, whose business is to sell images. How do you display them, how do you keyword them, how do you easily archive them and have them in your website? I think when you talk about CMS we should probably bring you back too to that stance for content management system, which WordPress is a content management system. Then to make it more sort of granular, as photographers having a gallery plugin can help you to organize those images and then display them in different ways even more. It's interesting when people talk about website and photographers and they don't think they have unique needs, but I think they do. Angela: They totally have unique needs. When photographers get into using some of these solutions, they quickly discover, how can I just have a collection of all my grand canyon photos? Then sometimes I want to display them here, and then I also want to be able to display some of them here but not all of them. That's where with NextGen it's great that you can tag the images, and then you can get a collection of tags. Scott: Or you can enter to gallery and just exclude certain images virtually. Angela: Exactly. That ability to manage your images separate from how you might display them is both the great thing about NextGen Gallery but also a hard concept too. I was teaching this class on NextGen Gallery, and Erick Danzer would come to the class, but we call him the owner, the CEO of PhotoCrowd, Imagely. Angela: Both, he's everything, but he was so sweet to come to my class, bring cookies, answer questions. He didn't understand why there needed to be a class. Then once he came to my class he was like, "Yeah." Angela: He's taken all the feedback and implemented it, which is amazing, every single piece. He writes his, he's just there, scribbling notes the whole time and making I'm sure the development team crazy like, "Hey, we've got to make all these changes." Scott: We actually had to restructure our development to keep up with all the feedback we are getting and come up with ways to figure out which needs to be the priority for the next release. We had to to some restructuring to keep up with it, which is a good thing. Rachel: We'll talk about it at user group right? Rachel: I think that's why having these conversations in group settings like podcasts and then going to, what is the word? The teaching thing, courses. Thank you. That was my senior moment guys. Having these places where we can congregate and talk about the questions that we have, then they can be implemented as changes in next releases. I think that's the best part of open source for all of this, for NextGen Gallery, for WordPress as whole. That's what I love the most about it is that these conversations don't just happen in a bubble. They also happen in like, results happen from it. That's the best part. Angela: I'm planning to just put that entire course, all my notes, everything that I know about NextGen just online for free. Rachel: That would be awesome. Scott: I think that's one of the confusing things that some photographers face is, at least we are looking at the different gallery plugins because even the ones like Envira and Foo Gallery that started using our gallery versus the album concept. In the photography world, an album is not what it is in gallery plugins. It's a little confusing. I actually wish that we could actually light rooms terminology, collections and collection sets. However, we are way beyond that because NextGen started with galleries and albums when the first developer originally had it. We are way beyond the ability to do that. A lot of photographers look out and say, "Are you actually giving me a book, like an album? Is that what I'm doing? Rachel: When you said, and that's always the first thing I think of, because part of being a photographer, especially in the commercial portrait, even, if you are shooting landscape, whatever you are selling, you sell that in the form of prints and albums. To hear this web terminology with the album words, it sort of like, "What world am I in?" Because you are already as a photographer switching hats a thousand times a day anyway. Scott: It might actually be even better just to call it gallery and gallery set. Angela: That seems it's like just a string replacement you'd have to do on your software. Scott: It would be so easy for us to just add an option so you can call it whatever you want to call it. It's one of those things like, is that something that everybody would appreciate or not? We'd have to figure that out. There is a lot of, there are some learning curves like that, that you need to come up with when you are using the gallery plugin, whatever it is. Angela: There is just so many I think, NextGen just does so much. There is so much such that when you get to the interface, it really does take some working with to kind of absorb here and not there, or if I've done it here, I've got to keep doing it here, otherwise, like when you insert a gallery on a page or a post, you've made some decisions in that process. For example, sort order. If you go back to the manage galleries interface outside the post, in that kind of essential command area and you try to restore your images and go back to your page and they still have the old sort, it's like, no, once the gallery is on the page, you need to sort it there or reinsert the gallery. Scott: Now that's different because now we switched to visual short codes. Scott: With the short codes, the sort will obey your default sort order for the gallery. You can overwrite it in the intra-gallery window. Angela: If you do that and you go back to manage galleries, it should do the same. Scott: Yeah, then it will match up. Angela: I'll play with it. Rachel: We are getting very technical. Angela: That's very technical, but it is the place I work with a lot of photographers. It is the place where they get most confused. Angela: It's like, where do I go to do this? I'd say, one tip for photographers working with NextGen Gallery, is get your default set ahead of time. Before you start inserting galleries all over the place, insert one gallery, figure out what you want, your patting, your borders, your thumbnail dimensions, all of those things. Set that in your default settings and now every time you insert a gallery you don't have to make those setting changes every time. That's my big tip. Scott: Make sure you have resize, upload and backups turned on because that's going to be useful for when you start doing digital downloads with NextGen pro. That's going to be useful when you start doing print lab integration, which is still in the works, and it's coming along. Make sure you have those on too, because those are important. Rachel: This kind of moves us into our next segment which is guest recommended WordPress plugins and or themes. We've talked about NextGen Gallery. Is there any other resources that you recommend specific that you think photographers would want to use? Angela: That's a really good question. I had a couple of notes of some of my recent plugins here. I just really took a look at Beaver Builder plugin. Beaver Builder allows you to do kind of complex layouts within any theme. If it's photographer is, perhaps has an old website, maybe they are even on just a basic default WordPress theme. They might have their gallery pages which are gorgeous because they are filled with their photos, but they have a homepage that's just kind of generic. They might try something like Beaver Builder to, or work with a developer as beaver builder to just create a more fancy homepage layout. That's a plugin that I've liked working with. Of course all the image optimization plugins are helpful but you have you have to be careful. Image optimization of course becomes huge when you are working with a lot of images. It's so hard because I find this is more of something I bring to more of the typical WordPress user, not necessarily a photographer because what I'd say with photographers is they really should be optimizing and setting all their image resizing ahead of time in light room or Photoshop. Don't be uploading images that are way too large, that are un-optimized for web. Rachel: We actually recommend JPEGMini which is something, you can bring it out of light room, photographers have resources like Blogstomp or Fundy, image collaging, renaming and then pulling it through JPEGMini. Part of being a photographers is having that workflow before you upload, and then by the time that it's on the web, you've already optimized it, I do it. There are great image optimization plugins too. It really is what fits in with what your workflow. Angela: The workflow but also just, I work with photographers who are so picky, they don't want to see any artefacting in their images at all. You run it through Smush or something, it's still going to be horrifying. Rachel: Even the basic one WordPress, Scott, what version was it, was it 4.5 when it? Scott: They had increased the compression? Rachel: Yeah. I've had a lot of photographers notice that and had to go to their host and asked them to put coding to say, "Can you change the base image compression back up to eighty from sixty, or wherever it went to?" Absolutely, any kind of image compression they notice right away. Angela: One thing that I could say that applies to all WordPress users and photographers is SSL encryption. It's something that's just becoming a bigger deal and maybe, affecting SEO ranking and big into search engine optimization and anything that artists can do, photographers can do to really put in their alt text on their images, and make sure they are making good use of that. SSL encryption, the plugin that I recommend for that, if they do install an SSL certificate on their web-hosting account which has become easier and easier to do, the problem is, people will sign up for the SSL certificate on their web-host because every time they log into their hosting control panel it's being sold to them, secure your site. It's a great idea but then things can happen in the WordPress dashboard that don't make that so well. The plugin I recommend is the Really Simple SSL plugin, just called Really Simple SSL. I've seen people use older four SSL plugins and things, and really break their sites totally. That works really well. Then they just need to go into settings, general, and set their URL to use the https instead of HTTP, and then the Really Simple SSL plugin will kind of force everything to use the new HTTPS. That's, definitely if they need help with that they could reach out to a local developer or their web-host even, and be able to get that set up. What do you feel are the things in NextGen that have changed over the course of past couple of years to help improve SEO for your images? Angela: Yeah, like in terms of just alt text and that kind of thing. Scott: Integrates with the Yoast site maps. They are also white listed from the open graph. I got to explain that a little bit. First, with the sitemaps. It used to be that you would have a separate sitemap from your post and page sitemap. It'd be completely different via Yoast that Google would see. Google then recommended including the images in the actual main post and and paid sitemaps. Yoast does this by default for anything inserted with their media library. This is standard media library. I don't even think this works with all, I know it works with Foo Gallery but I don't think it works with all the others. We integrated with that. With the older placeholder now. Here is the catch, with the older placeholder images. Before we recently switched to visual short codes, anything with a placeholder image was automatically included in the sitemap. Angela: Was that in the media sitemap that Yoast creates? Scott: Not the media sitemap, the main one, the actual, the post and pages and all that stuff. There'll be in image count and it'll include, any NextGen Gallery images that you have will be included in the account. If you actually looked at the source code to the sitemap you would see all of your images showing up in that sitemap. Angela: The images that are in the NextGen Gallery? Scott: In NextGen Gallery yeah, and you are including on that post to page. We switched to visual short codes and that actually stopped working. Now we have to reintegrate with the visual short code part of it, which is not a big deal, we are already doing it for the next release, no problem. The other thing was, the placeholder images were coming up in open graph. This isn't SEO specific but it sort of connects. Scott: But prophoto theme, right? Rachel: Right, it's not just specific to NextGen plugin, but it could be any plugin. It could be your theme itself, it could be, but Yoast SEO if you go into Yoast SEO, it has a place to override all of it, so that you can upload a generic, your photography logo, business logo there, so you don't get these other random ones. If that's resonating with you, there are solutions. It's not usually because of NextGen, that's something that you guys fix and you are aware of, it happens with all sorts of plugins and themes. Angela: SEO ends up being the biggest deal for photographers in a lot of ways. They have this beautiful work and and they are like, "I'm not found." Often it's because they no text on a website, it's all images. For me, working with photographers, getting them to write about their work and describe their work in a way that we can optimize and break out some of their work into more pages or posts, so that we can get more indexed content, is really a challenge because photographers are visual people. They are not writers. If they can partner with someone who will interview them and get them to write, would be great, but I'd say that's a challenge. Then learning some of these little SEO tricks, which I'm so excited to check out Yoast and NextGen Gallery, because I actually haven't done that, even though I teach a course using Yoast. Scott: Just remember, right now it's only the placeholder images. The last few versions, since we switched over to short codes. That part is not working. We are rebuilding it. Angela: Isn't working, but the open graph and sharing, because photographers need to be able to share their work in using things like Facebook and Instagram. One plugin that I have been excited about is the Instagram, there is an Instagram Feed plugin. We could put that in the show notes. If they use Instagram you can bring in all of your Instagram images onto a page in WordPress. If you pay for the pro version people can interact and comment on those images right on your WordPress page. Angela: It's very cool for visual artists and for photographers. Scott: That's called the Instagram Feed? Angela: Yeah, it's Instagram. I'll give you the direct link to it. Angela: It's definitely worth getting the, it's just Instagram Feed. I have it, by Smash Balloon. Scott: I pulled it up. Rachel: I think this has been really helpful. Is there anything else in your worlds that you want to talk about, where can we find you on the web? Angela: You can find me me at askwpgirl.com and ASKWPGirl on Twitter, Facebook, Instagram. I love to connect with people and hear from artists and I hope to get that NextGen free tutorials out soon. Scott: That would be great. I will say, anybody who is interested, any photographer that's interested in learning more about WordPress and you happen to be in the Boulder Denver area. Be sure to check out Angela's classes because she is extremely knowledgeable as you have heard. It will be a good learning experience for you to get your hands dirty with everything you need to know about your photography website. Thank you Angela for joining us today. Scott: Thank you Rachel for being an awesome co-host. Scott: You can find the show notes from today's episode at Imagely.com/podcast/29. Rachel: Thirty is our next podcast and we'll be doing Q&A. Scott and I will be going back and forth with your questions. Thank you for submitting those. Then we'll have another guest in 31. Scott: We've almost been doing this for a year Rachel. Rachel: I think December we'll be one year. I think it's a great journey we've been on. Scott: It's been a lot of fun. Angela: It's great to meet you both. I enjoyed watching the entire podcast yesterday; it contained a lot of good nuggets of information. Also, I was glad to hear Angela clarify the issue regarding backups and the fact that just restoring an old backup, after a site has been hacked, may ultimately be restoring a previous vulnerability; this is another good reason to stay up to date with security patches. As a software engineer myself, she earned my respect throughout the podcast; she is quite knowledgeable. Thanks for listening to the show, Michael!